Mushroom… yes, you read that correct! 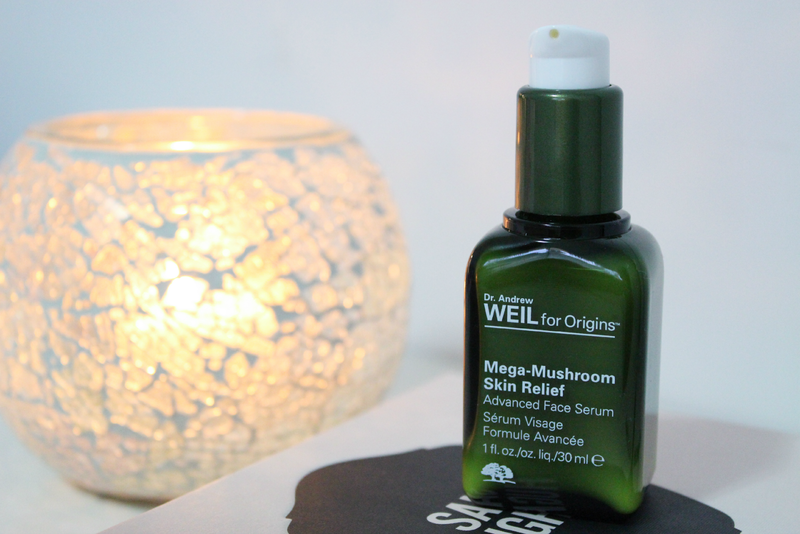 The magical Mega-Mushroom Advanced Face Serum from the Dr. Andrew Weil for Origins collection has seriously revolutionised my skincare routine and today I’ve written you five whole reasons why you need to add this product to your next order. Sadly, this baby will cost you an arm and a leg, but I can assure you it’s 100% worth it, as small pump goes a long way. I can’t even begin to describe the difference it has made to my overall complexion and health of my skin, so I’m sure this holy grail product will be sticking around for a while. Is your skin looking a tad dull, lacklustre even? Well, let me tell you this is your solution, and after only a few days of use, my skin has not only shot back to life, but has been served a massive hydrating boost, leaving my skin looking plump and brighter than ever! For someone whose face literally reacts to anything slapped on it, I was so pleased that this serum worked with the sensitivity of my skin, and majorly assisted in reducing redness and inflammation – ideal for Rosacea suffers. I’ve also noticed that the serum has kept my odd dry patches at bay. This was the main reason for my purchase, since I tried a sample last winter, and it has immensely changed the appearance of my skin, especially in the acne department. It not only has soothed and calmed, but also worked it’s magic on my spot-prone skin. Now that I’ve got the glowing skin of a pregnant women without being pregnant, my makeup application has gone on super smoothly, without any worry of having flaky orange patches or redness seep through my foundation. Ever heard of the saying “you are what you eat”? I am a firm believer in this, if I eat too much sugary foods or drinks, the outcome will be visible on my face the week after. So with that in mind and the fact this product is stuffed with natural products, full of anti-oxidants it’s only natural that it would help reverse a few years off your face.